The makers of The Last Door are hoping for a funding push that will allow them to release the game as a DRM-free download for Windows, Mac and Linux. 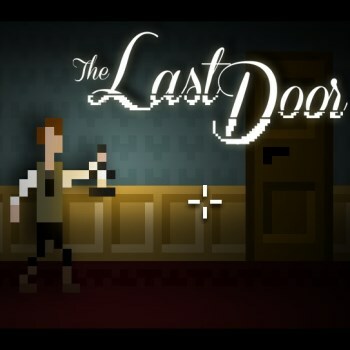 The Last Door, if this is your first time hearing about it, is an 8-bit-styled point-and-click horror adventure you can play in your browser. It's broken down into chapters, and development is crowd-funded through The Last Door website. Backers get immediate access to episodes when they're released along with other goodies, while everyone else gets free access to the previous chapter when the current chapter comes out. It's a pretty cool idea; fans have a meaningful incentive to kick in a few bucks, but everyone gets to play. Development of the third chapter, "The Four Witnesses," is just about complete, and it's expected to go into beta for "premium" fans on September 30. Production costs for the episode have been almost completely covered, but the team is now aiming its sights a little higher with "stretch goals" ranging from a free-for-all download of the first episode soundtrack to the ultimate goal of a downloadable, DRM free release. "The idea for the stand-alone downloadable version is to include at least the three first chapters, and maybe the fourth one, and set up a kind of downloadable 'first season' of the game," Raul Diez of The Game Kitchen said. He described the new addition of stretch goals to the funding effort as "a trial-and-error approach to see how it works" and added that they might do the same thing, or something similar, with future chapters. The Last Door is a Lovecraft-style horror adventure set in the late 1800s that begins with the receipt of a letter from an old friend who's being tormented by strange, disturbing events. The first chapter, "The Letter," is open to everyone, and while brief, it's actually quite good; the second chapter, "Memories," will go free once the third chapter releases, which is currently scheduled to happen on October 18. If you want to get a head start on things but don't have any money (or don't feel like handing it over), you can also still take advantage of the summer promotion: Get three friends to register on The Last Door website and "Memories" will unlock immediately, at no charge.